Students should be made to accept that they should pay for education if and when they can afford to do so‚ the Heher commission has found. The long-awaited report by the commission‚ set up in January 2016 to study the feasibility of free tertiary education‚ was released on Monday. The report suggests several approaches to funding education – among them‚ a model of government-backed loans which place the “lightest possible burden on the debtor” for university students‚ coupled with free education for students at technical and vocational education and training (TVET) facilities. It states in its report “the commission respectfully advises the President that a stand taken at the outset that university students should accept the common sense and inevitability of paying for what they receive‚ if and when they can afford to do so would be politic and responsible and very much in favour of future generations”. 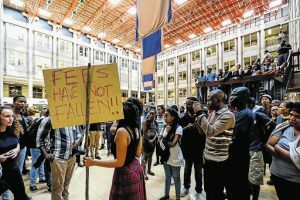 The Heher commission says that it is “within the state’s capability and means” to fund free TVET education but it suggests that university students “regardless of their background” be funded via a system of Income Contingent Loans made to them through commercial banks and either purchased or guaranteed by the government. Students would only start paying back the loans once they had graduated and reached a specific income level‚ and collections would be made by SARS using the income tax system. This model‚ it said‚ was sustainable‚ would not deny anybody access‚ and would not take money from other national priorities. The report states that in the current NSFAS system‚ about 80% of students at technical and vocational colleges were currently being funded and not repaying. However‚ the report suggests that in order to make TVET colleges the first choice of students‚ rather than “holding the position of second class citizens as is presently the case”‚ money will need to be poured into them. And it suggests that R50-billion of this funding can come from large surpluses sitting in the UIF. The report states that the fund is currently “accumulating huge annual surpluses which it merely reinvested resulting in greater surpluses”. And while the UIF stated in its response to the commission that there was no surplus available for education‚ and that new labour benefits such as paternity leave and repayment of contributions to those resigning from their jobs would further eat into the surpluses‚ an actuarial report drawn up to model these scenarios by the fund’s actuaries found otherwise. “It seems clear from the actuarial report that the utilisation of R50-billion for the benefit of education would hardly scratch the surface of the fund’s resources‚” the commission wrote. “The funds initially collected to relieve the hardship of unemployment could instead be used to reduce its incidence by increasing the productivity of the TVET college system as a whole‚” the report states. It however states that this would only work if there was an effective collection method. The commission report however points out that their model would use SARS for collections and also recommends that R42-billion in long unclaimed pension funds be use as backup funding for the state’s liability. 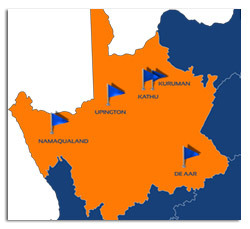 The Banking Association of South Africa said in a letter to the commission‚ attached as one of the report’s annexures‚ that they had established a task team to investigate the feasibility of income contingent loans. But‚ BASA managing director Cas Coovadia says in the letter that there was “insufficient information to enable a thorough assessment” and a “comprehensive financial model would need to be developed”. Coovadia said on Monday that they had been awaiting the report to be released in order to move forward. But he said‚ government needed to “give guidance” on what it planned to do as several plans around higher education funding were currently being floated. He said there would not be an “industry approach” to the suggestion as it was up to each bank to determine how it shaped its products. “What we have said is that we do currently have the infrastructure and expertise in the industry to play a role‚” he said. He said competition issues may arise as a result of the recommendation as competition law would not allow the banks to decide as a whole how such loan products and pricing would work. Other recommendations in the report are: – that the National Student Financial Aid System (NSFAS) which received R15-billion in government funding in 2016/17‚be replaced by ICL loans. – Government increase its block funding to higher education as a whole‚ so as to reach at least one percent of gross domestic product. – That registration and application fees be scrapped entirely.